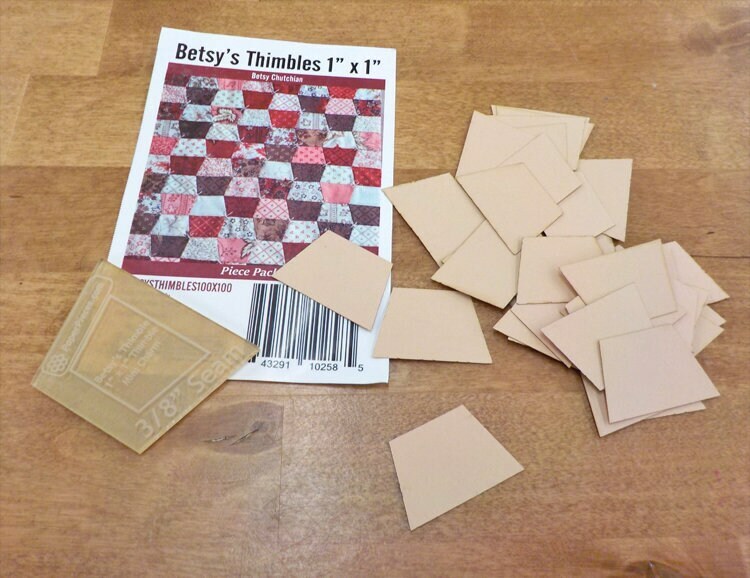 Betsy's Thimbles by Betsy Chutchian papers and template...1 x 1 inch thimble papers...42 pieces, laser cut. Acrylic template has a 3/8 inch seam. Peel the brown paper from back to make it clear...perfect for fussy cutting. Betsy's Thimbles were designed by Betsy Chutchian. This listing is for the papers and the template. Love the different thimble shape! Now my only problem is deciding which mini charm pack to use to make the little quilt with. And find the time to make it. :-) THANKS!! !